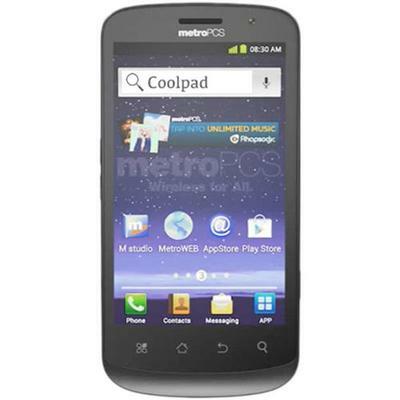 MetroPCS this morning announced the Coolpad Quattro 4G, a lower end Android handset with LTE capabilities. While a 1GHz handset running Android 2.3 may sound like an abomination in the dawning age of Jelly Bean, something has to be said to the idea that LTE is pretty much available to consumers of all budgets now. The Coolpad Quattro 4G sells for $149 plus tax, and can take advantage of LTE plans starting at $40 a month with no annual contract. True, the device is not a high-end phone by any stretch of the imagination, but when handsets such as this are hitting the market, you know that LTE has truly arrived. Now … when do we start down the path to 5G? Second 4G LTE Android™ Smartphone Under $150 Brings More Choices for Cost-Conscious ConsumersDALLAS, Aug. 28, 2012 /PRNewswire/ — MetroPCS Communications, Inc.(NYSE: PCS) today announced the availability of the first U.S. smartphone from new handset partner Coolpad Americas – the Coolpad Quattro™ 4G. At$149plus tax, the Quattro 4G offers another option forMetroPCScustomers who are looking for a feature-rich, affordable 4G LTE Android™ smartphone and can be used withMetroPCS' 4G LTE service plans starting as low as$40per month – with all applicable taxes and regulatory fees included and no annual contract. The Coolpad Quattro 4G is an affordable 4G LTE smartphone powered by Android 2.3 (Gingerbread) and 1 GHz processor. The Quattro 4G has a 4″ touchscreen that is perfect for viewing captured content, browsing the web and enjoying multimedia. Consumers can use the phone's 3.2 megapixel rear and VGA front-facing cameras to capture pictures, record video and video chat with friends and family. For a limited time,MetroPCScustomers can receive a$50mail-in rebate on the second of any two 4G LTE handset purchases, meaning a new Quattro 4G is available for as low as$99plus tax. Consumers can select from any ofMetroPCS' tax and regulatory fee-inclusive 4G LTE service plans, which range from$40 to $70per month, including the current promotional plan of unlimited talk, text and 4G LTE data for$55per month for a single line and$50per line with aMetroPCSfamily plan.